Today: Modern Farmer's Editor-in-Chief, Ann Marie Gardner, shares her story and discusses the place of modern farms -- in our homes, on our plates, and in the magazines we read. While reporting for Monocle and The New York Times, Ann Marie Gardner noticed a growing global community interested in the source of its food: where it was grown, how it was grown, and who it was grown by. And so Modern Farmer was born: not as a response to urbanites with a fleeting interest in flannel, but rather as an earnest and dependable information hub geared towards a range of readers. In both its print and online content, Modern Farmer seeks to inform everyone from long-time farmers, hobbyists, those of us with struggling windowsill herb gardens, and everyone in between. Because, as Ann Marie says, food has become a "need to know" topic, not just a "nice to know" topic. Today we're talking to Ann Marie about the magazine's origins, the most exciting trends in agriculture, and the cover model for their latest edition. Your readership varies from farmers, to part-time farmers, to urbanites. How do you find a balance of content that's relevant and interesting to all of your readers? The common thread is really that everyone eats. Whether you’re a farmer, a banker who dreams about being a farmer, or even just someone who loves visiting your local farmers market, you want to know the stories behind the food you’re eating. And everyone loves a good story! So that’s where we come in. Modern Farmer’s goal is to tell great stories about food and where it comes from. Because we present this information in a mainstream, fun way, people quickly realize the content is relevant and think, hey, this Modern Farmer, this is really for me! What emerging trend in farming are you most excited about? Precision Farming techniques are pretty exciting and what technology can do to help farmers is getting very sci-fi! But probably the most exciting (and even surprising) trend is to see big ag and small farms moving in the same direction to find more sustainable farming methods. That’s the real news these days. All the innovation happening in farming now -- with hydroponic growing, rooftop farms, and finding new, more sustainable ways to grow food -- is fascinating and relevant to everyone who eats. Psst: We've got the latest editions of Modern Farmer -- and matching totes -- in Provisions. What inspired you to start Modern Farmer? I travelled around the world for years as a journalist for Monocle and The New York Times T Travel magazine, among others. For years, I’d hear the same conversations: people wanting chickens and goats and worrying about eating too much meat and worrying about food security and the weather affecting their food sources. These conversations were happening in Iceland, Italy, Uruguay, and Rio as much as they were happening in my local farming community in the Hudson Valley, where I’ve lived for more than a decade. It seemed pretty clear to me that these stories needed to be told and I wanted not only to tell them, but also to read them. Do you grow at home? What are your favorite things to cook? I do have a garden and it’s pretty weedy right now, I have to admit. But I grow what I eat and that means lots of Italian food -- my tomatoes are delicious and I usually make a sugo with them, just a quick red sauce in a pan on the stove. My sage grows out of control and I love sage and butter ravioli, although I’m terrible at making it. I always burn the butter. I have to import my Italian friends to re-teach me how to cook this! 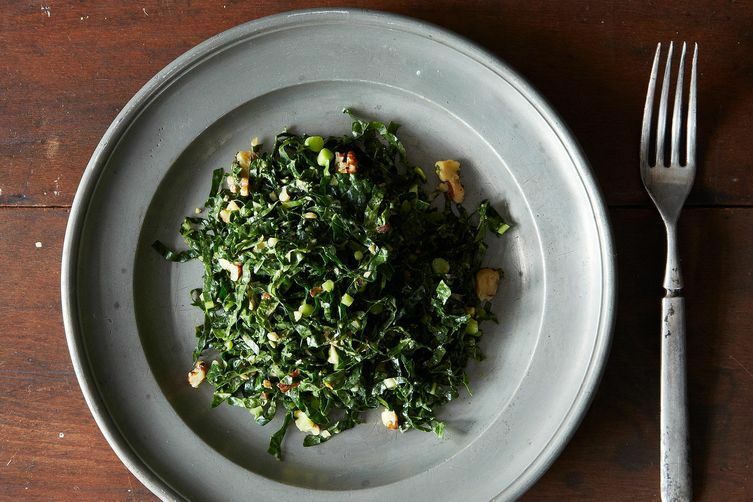 I also love kale salad; it’s great to be able to walk into the garden and pick some kale and make a fresh salad into November. 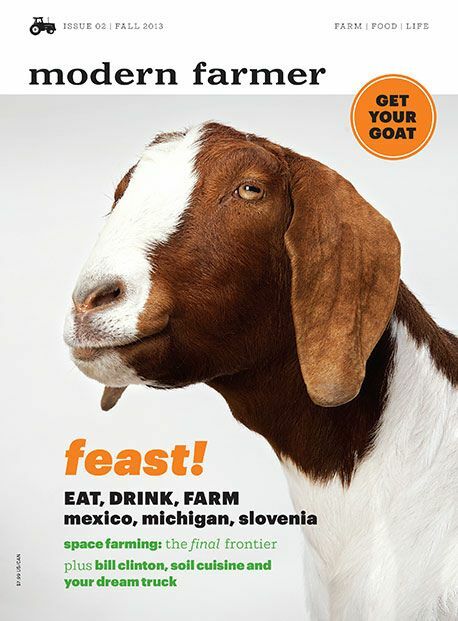 Did you actually get to play with the adorable goat on your most recent cover? I wish! I love that goat’s expression, don’t you? Want more Modern Farmer in your life? Pick up a copy here. Australians shepherd? But the ears look too long and the markings are so clearly defined. 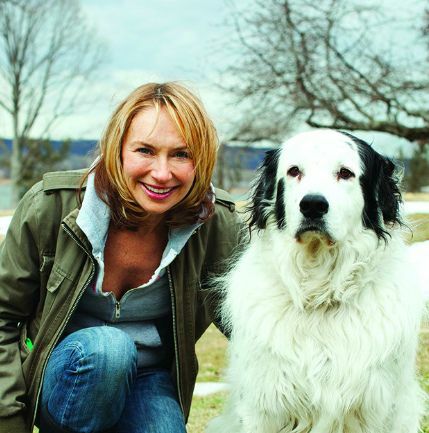 Would you be able to find out what breed of dog that is in the left-hand photo with Ann Marie? Thanks!